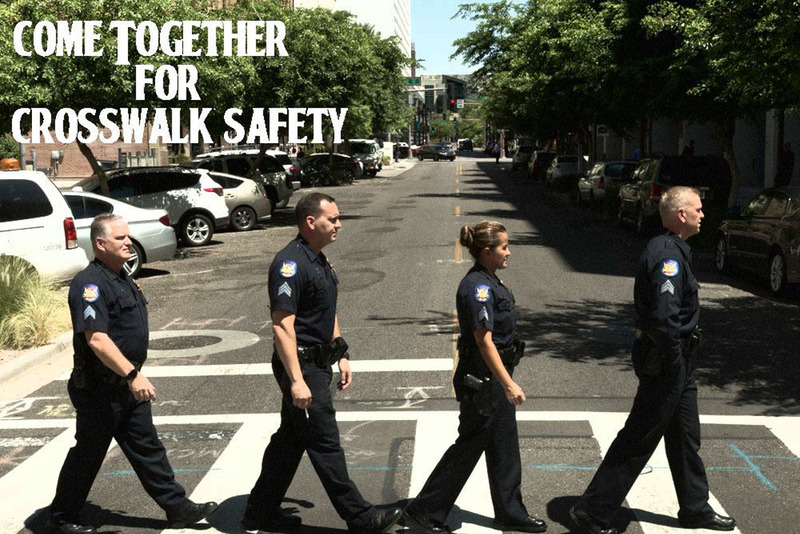 The Phoenix Police Department has launched a public safety campaign that uses clever re-imagined visuals from pop culture to urge people to use crosswalks when crossing the streets and drivers to be more attentive to the presence of pedestrians on the road. The "Rock the Crosswalk" campaign has the goal of reducing vehicle vs. pedestrian accidents in the city. Last year there were 101 vehicle vs. pedestrian collisions in Phoenix.